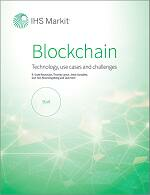 This eBook provides a thorough examination of how blockchain works, and vertical industry insights on blockchain adoption and activity. Understand how blockchain technology could change the way industries manage transaction data and contracts, discover real-world implementation challenges, and see how this business model could impact our world in the long-term. Please fill out the form to the right to access the eBook. To receive this complimentary blockchain eBook, please fill in the form below.